- The 2nd Law on CD plus the DVD Making Of housed in a special 7" sized bookpack featuring box set exclusive artwork. 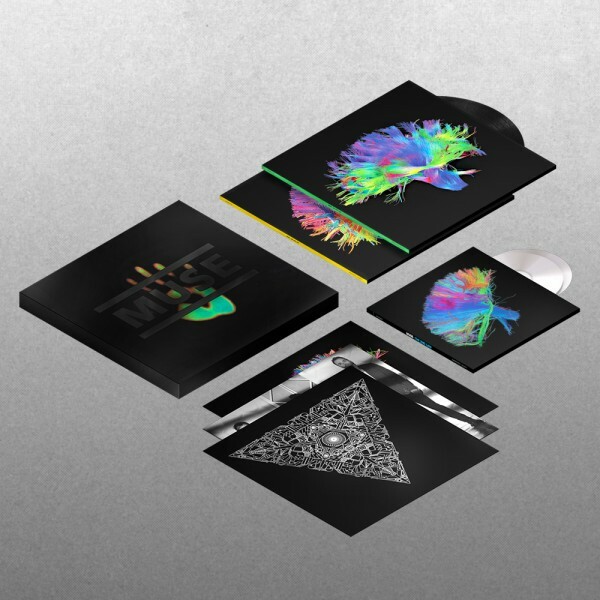 - The 2nd Law on 2 x heavyweight vinyl featuring box set exclusive artwork. - 3 x art prints featuring the album cover, band photography and box set exclusive artwork. Please note that the ink used for the box lid can lose reactivity with prolonged exposure to temperatures above 70 degrees C or below -20 degrees C or when left in direct sunlight. The DVD is region free and should be playable in all DVD players.